With over 1.3 million websites using Shopify, there’s no denying how popular the eCommerce tool is. WooCommerce comes in at a close second, sharing 8% of the eCommerce usage statistics pie. 5.34% of Shopify’s traffic comes from social media sources. 32.98% of traffic via desktop computers comes from the U.S., and 5.21% comes from the U.K., followed closely by India with 4.42%. The statistics say a lot, but why should we really use Shopify? At the start of 2018, over 175 million users were active monthly on Pinterest. It’s estimated that 2018 will bring in almost 700 million Instagram users by the end of the year. With both Pinterest and Instagram being mainly visual platforms, business owners can bring their products directly to their customers with a simple photo upload. Not only will users be able to see what you’re selling, they can also make purchases within the apps too. 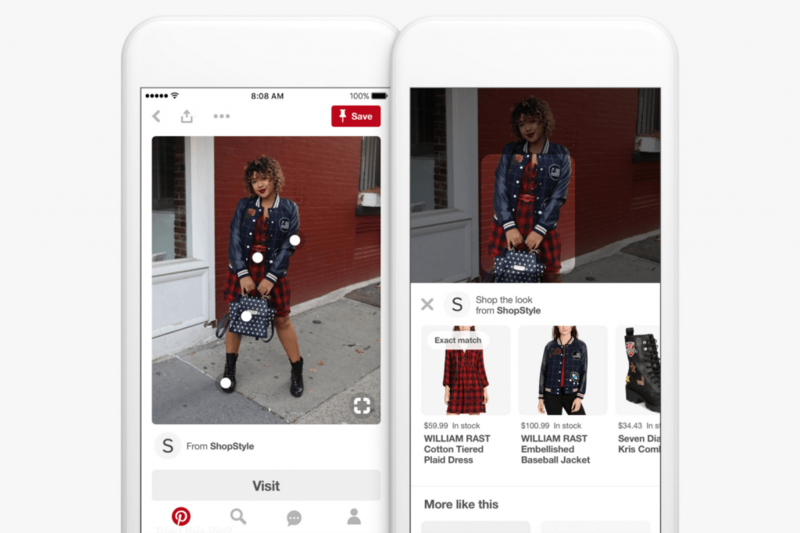 Let’s take Pinterest as an example; their Shop the Look partnership with ShopStyle allows users to buy products that they see on pins. Jason Stokes, founder and CEO of Shopify Expert Eastside Co. believes “social shopping will have a massive impact in 2018”. In the U.S. alone, which was previously considered the capital of eCommerce, we’re seeing a shift in global retail eCommerce sales. From 2015 to 2018, we’re expecting a decrease from 22.2% to 18.3%. 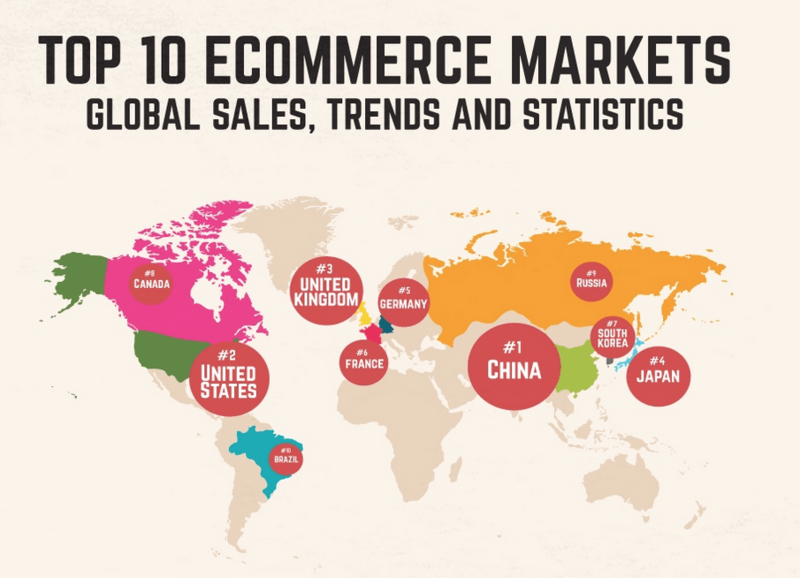 84% of B2B global eCommerce sales now sits much further across the pond in places like Asia. So, for the U.S. and the U.K., and even that of Western Europe, it’s time to start considering a more internationally based strategy. Not only are the eCommerce sales figures increasing, so is the actual growth of these countries. This isn’t to say you physically have to take your business global, it’s more about adopting an approach that can reach globally, like marketing and social media. Augmented Reality (AR) and Virtual Reality (VR) are technologies that will be on the rise in 2018. It’s estimated that 1 billion people will be using AR or VR by 2020, with an estimated market size of $215 billion. 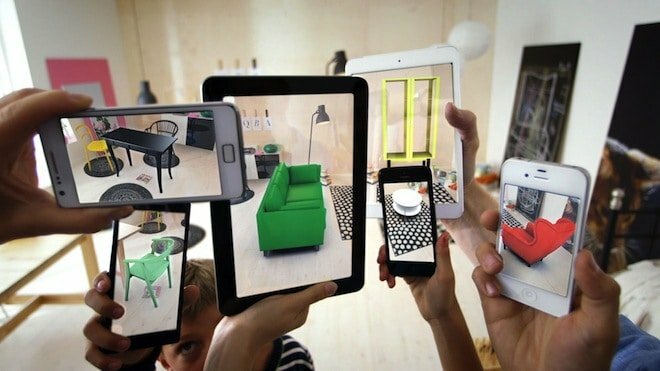 Companies like IKEA are already offering an AR app so that users can place 3D products from their catalogue into your home. These products are to an exact scale so you can really see whether they’d look good without having to physically visit a store. A home design company, Houzz, found that consumers were 11 times more likely to purchase a product with an AR or VR option. Although the initial cost may be expensive, the investment into this kind of technology is most certainly worth it. It’s no secret that mobile phone usage is at an all time high. 62% of smartphone users were recorded to have made an online purchase using their mobile device in the last 6 months. As an online business, it’s essential that your website or shopping platform is mobile ready. 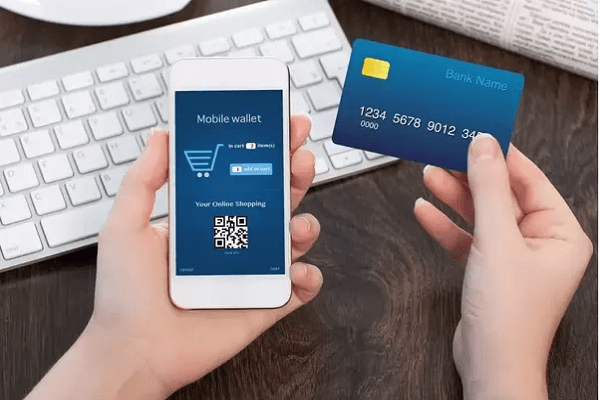 Not only are people using their phones to purchase goods online, their also using them to place orders and pay for goods in-store. During 2017, 30% of Starbucks orders were paid on a mobile device. In fact, the increase of usage has actually caused problems in-store due to the rise in consumers. Investing in mobile technology is absolutely essential in 2018. It’s estimated that by the end of the year, mobile eCommerce traffic will hit 70%. 56% of online customers expect same day delivery. Although consumers enjoy shopping online because of it’s convenience, they don’t like waiting for their products to be delivered. This has prompted the plan that 65% of retailers will in fact offer same day delivery within the next 2 years. eConsultancy have said that 50% of abandoned shopping carts are actually caused by the types of delivery options, or lack thereof. People are actually willing to spend more money on faster delivery methods in 2018 as opposed to waiting. Popular onsite retargeting software such as OptiMonk allow you to capture abandoning customers (as much as 15%!). 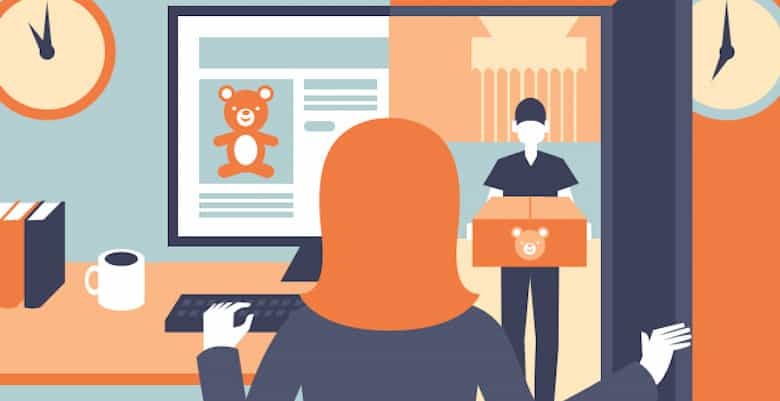 This has translated into 49% of online shoppers confirming that having the same day delivery option actually influences their decision to purchase. If it’s feasible as a business to offer these options, it’s definitely worth doing! The rise in ‘research online, buy offline’ has highlighted a shift in the way consumers shop in-store. The number of consumers reading online reviews before purchasing a product on the high street is increasing. Bazaarvoice’s ROBO research report presents some interesting facts. 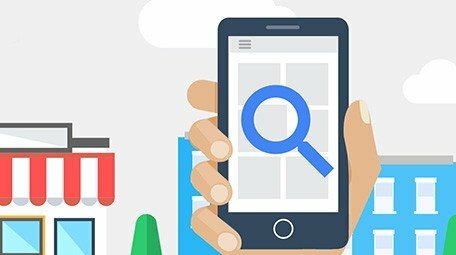 82% of smartphone users research a product on their phone before purchasing it. Retailers like Matalan found that £1 spent on AdWords resulted in £46 in sales, £31 in-store. These tools can track information from social media, geolocation, mobile payments, analytics, and more. The results can provide information on what leads consumers to make in-store purchases. 55% of global consumers focus on online reviews, for example. Automation software and chatbots are becoming more relied on as consumers become more impatient. Well known airline, KLM, launched a Facebook Messenger chatbot called ‘BB’. The purpose of BB was to help passengers book tickets, provide flight statuses, and flight changes. Over 16,000 customer interactions are now dealt with by BB. In a recent global market poll, 45% of consumers preferred using a chatbot for customer service purposes. By 2020 it’s estimated that the U.K., France, South Africa, and the Netherlands plan to implement chatbot technology. 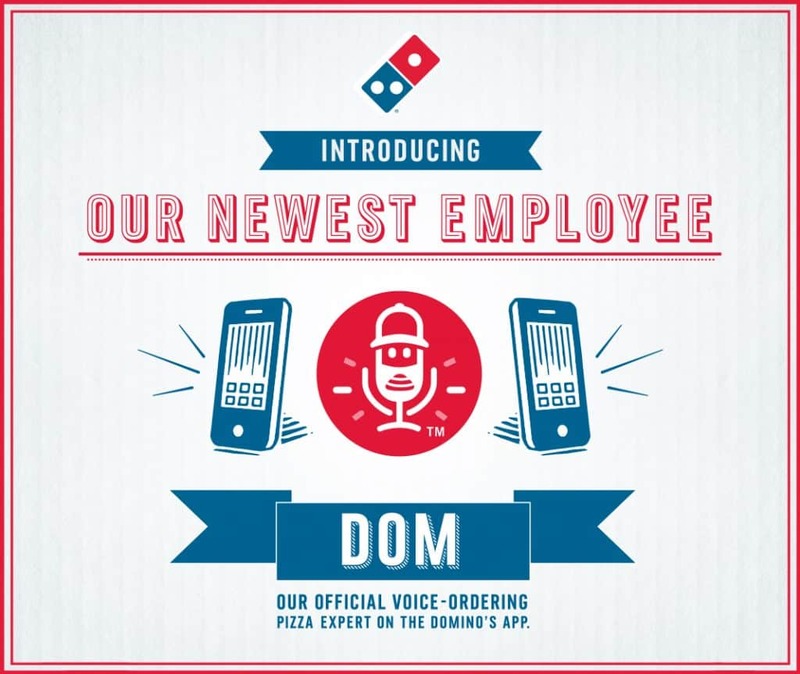 Domino’s recently announced and released its now famous chatbot, Dom. This forward thinking technology has been a resounding success for Domino’s. Fast and simple is what consumers want, so that’s what they should get. 1.1 million Brits have purchased cryptocurrency within the U.K, which equates to 2.85% of the population. Popular digital currency, Bitcoin, amounted to an index value of $9,244.32 in April 2018. Online retailers like Microsoft, Shopify, and Etsy all support Bitcoin. With over 4 billion active internet users in April 2018, it’s no wonder that cryptocurrency is becoming more popular. Bitcoin payments are secure, and most of all irreversible. This means fraudulent costs cannot be placed onto merchants. In fact, countries like Japan are embracing cryptocurrency, saying that it’s a great way to invigorate their economy. With a billion dollar investment plan, we may see the success of Japan spilling over into the U.K. or U.S. by the end of the year.